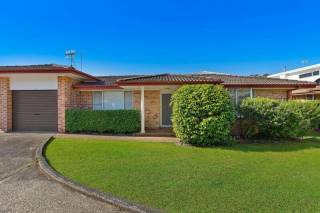 Modern 3 bedroom townhouse located 100 metres from the beach and Toowoon Bay Shops. This townhouse has all 3 bedrooms located upstairs with a queen size bed in the main room and Doubles in the second and third room. 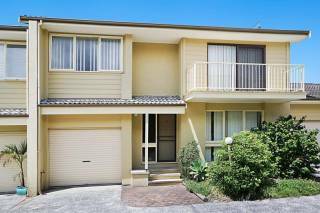 Modern Three bedroom townhouse located only 100 metres from Toowoon Bay Beach and shops. 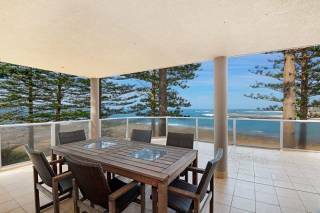 This stunning apartment located right on Toowoon Bay Beach is the perfect property for those looking to park the car and relax. Perfect for the small family getaway! 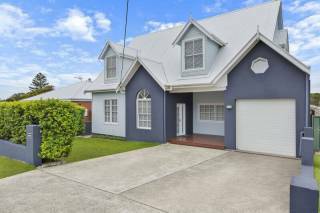 This newly renovated two-bedroom townhouse is perfectly located within walking distance to Toowoon Bay Beach, cafes and eateries. 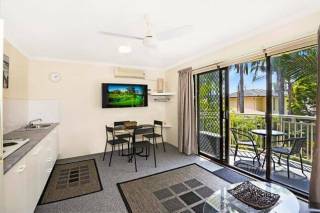 This spacious 3 bedroom townhouse is located within a short walking distance to beautiful Toowoon Bay Beach, Toowoon Bay Park, the local corner store and Shelly Beach Golf club. 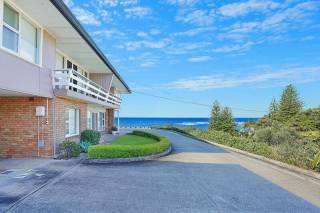 Enjoy a beach holiday in a security complex with direct walking access to the beach. 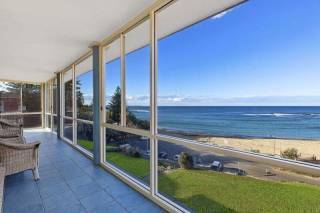 The unit is tiled throughout and overlooks the ocean, The unit has been renovated for comfort. 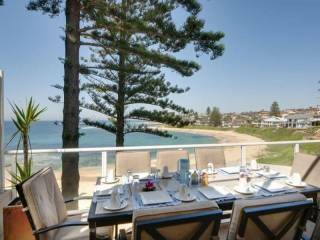 This absolute beachfront luxury apartment provides spectacular views of Blue Bay Beach and Toowoon Bay Beach and has direct beach access. The property offers everything you need on a relaxing holiday and accommodates up to five guests. 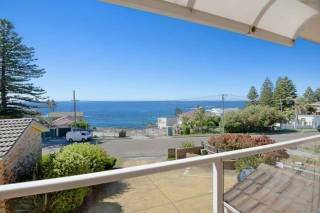 Beautifully presented modern 3 bedroom townhouse just a stones throw from Blue Bay beach. 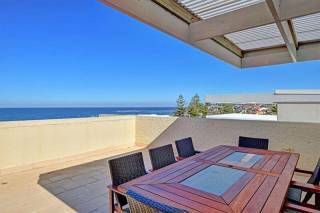 This multi-3-level townhouse features a sun drenched roof top terrace with 180 degree water views. Wake up each morning hearing the waves laping the shore. 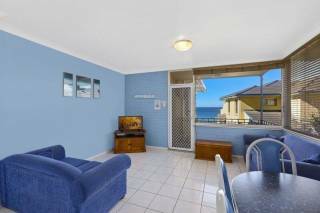 This beaitfully renovated beachfront unit is perfect for a quiet beach holiday. This apartment is a 1 bedroom self contained unit located on the second floor with a relaxed and easy-going ambience. Unit contains kitchenette style cooking facilities, air conditioning and a Big Flat screen TV in the living area. Unit 43 is a self contained two bedroom unit with a relaxed and easy-going ambience. Unit has a full kitchen (no oven), air conditioning and a Big screen tv with views of the resort style pool. Displaying 1-20 of 154 results.